One of the most frustrating occurrences for a pet owner is to have an otherwise potty-trained dog begin having accidents in the house. In fact, potty problems are one of the top reasons that dogs are returned to shelters or re-homed. Here, reasons your dog is having accidents in the house will be discussed. If your dog is having accidents in the house in the same spot each time, the most likely reason is that the area has not been adequately cleaned with an enzymatic cleaner. Dog urine contains proteins that act as a “calling card” to your dog’s nose. Until those proteins are removed, your dog will continue to do his or her business in that location. 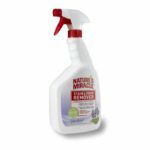 To remove stubborn proteins, use a cleaner that is specifically formulated for destroying these enzymes, such as Nature’s Miracle. Medical problems such as urinary tract infections, diabetes, or kidney/liver disease can cause your dog to urinate more frequently. If your dog’s urine has a strange odor or color you should collect a sample and take it to your veterinarian for testing. If your dog is having accidents in the house instead of letting you know that he or she needs to go outside, it is possible that your dog has a history of using potty pads. For these dogs, going indoors is normal, and they will find a quiet corner of their new home for doing their business. To change the behavior first place a potty pad in the area your dog frequently potties. Next, move the potty pad closer to the door each day. When your dog goes to the door you will know it is time to go outside and potty. 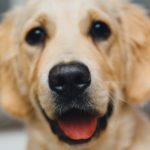 Is your dog having accidents in the house right in front of your nose? For some animals, they crave the attention that it garners, even if the attention is negative. 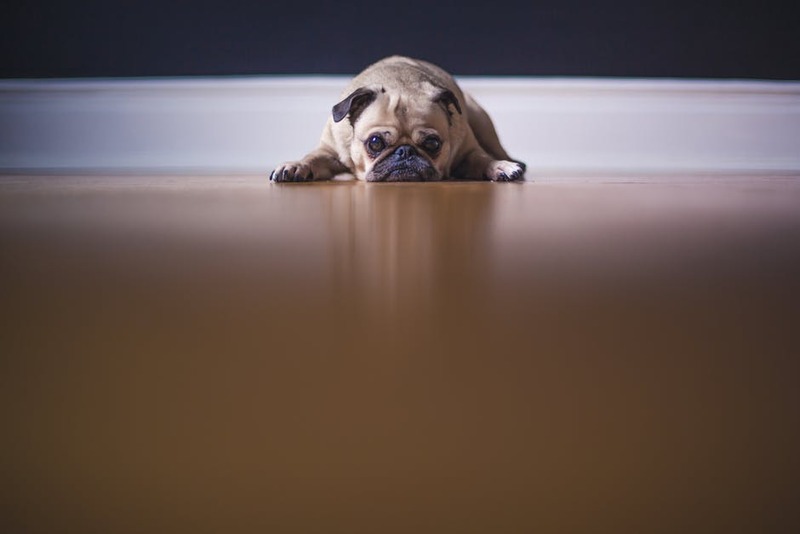 If your dog is having accidents after a sudden change, such as a new baby or a job with different hours, consider that your pet might be feeling neglected. Dogs with true separation or isolation anxiety will often urinate and defecate due to the extreme stress of being alone. If separation/isolation anxiety is a possibility, enlist the help of a professional dog trainer. As dogs age they can no longer hold their bladders for the same length of time as when they were younger. If your dog is over 8 – 10 years of age, consider whether a change in routine is necessary. When dogs are in situations they find particularly scary with another human or animal, a last resort is to submissively urinate. This appeasement behavior signals to the animal or person that the urinating dog is not a threat. This behavior is most common in small dogs, such as Dachshunds and Chihuahuas, but can occur with any breed. When frequent submissive urination is diagnosed, the help of a dog trainer is necessary. «Is a Chihuahua Right for You?